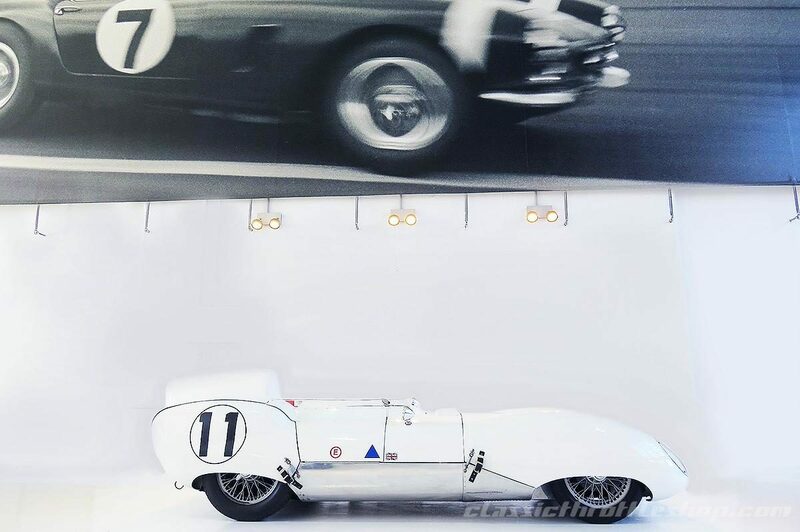 Introduced in 1956 and penned by Frank Costin the Lotus Eleven embodied a synthesis of Colin Chapman's cutting edge aerodynamic theory, engine, suspension and brake technology. The Eleven went on to become the most prolific racing car of its time dominating the 1100-1500cc class not only in the UK and Europe, but throughout the motor racing world launching the Lotus mark into the stratosphere. - The Le Mans- the fully loaded edition with De Dion rear suspension, power drawn from a Coventry-Climax FWA 'featherweight' single-overhead camshaft 4-cylinder all-aluminium engine. According to the CAMS Certificate of Description this amazing example has had a mere four owners from new. First delivered in 1959 to Donald Kochmich in the United States, the car later moved onto its second keeper in 1976. In 1994 the car was brought to our shores by its third custodian and then final onto its current owner. Famed Lotus Eleven drivers included greats like Mike Hawthorn, Graham Hill, Innes Ireland, Archie Scott-Brown and Colin Chapman himself. Famously, at Monza a standard Le Mans model fitted with a Weber-equipped 1,098cc Climax engine and 'bubble' cockpit canopy lapped at 143mph, taking seven speed records in the process. An incredibly rare and unique opportunity to invest in and own a landmark car within the history of Lotus and world motor racing, this exquisitely prepared Lotus Eleven Le Mans is ready as a welcomed addition to any serious garage or established collection. A viewing is a must for this superb classic racing machine.